While this may be an exaggeration for some, most people feel as though they would rather die than give a speech or presentation in front of an audience. We created an immersive toolkit to prepare and practice your performance, wherever you feel comfortable. Inspired by our professor and his book - The Art Of The Pitch, by Peter Coughter. I was responsible for creating the app and visual identity for Lexicon. 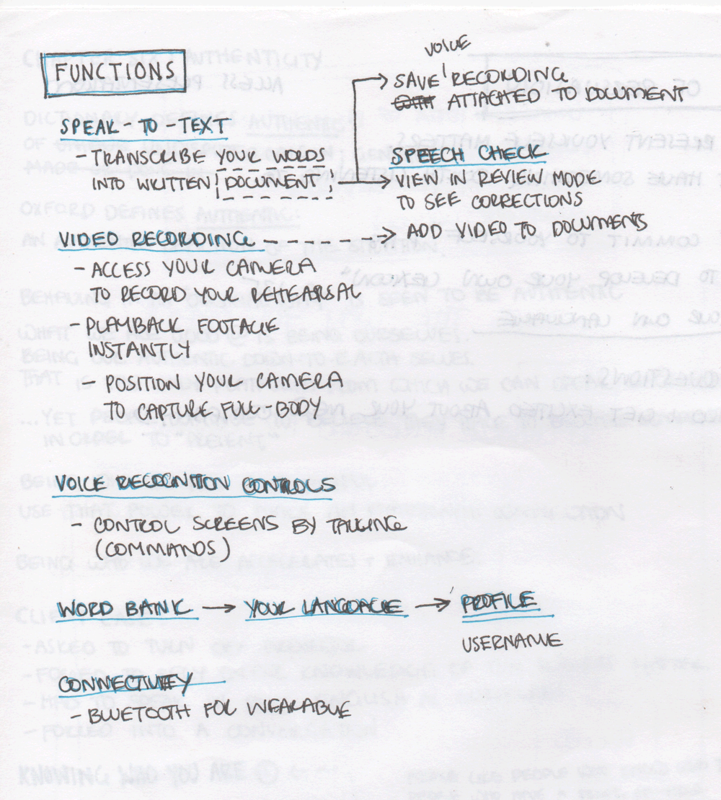 Similar to the dictation function in iPhones, our transcribing tool allows the user to practice their presentation out-loud while Lexicon records and writes out your written words. Unlike a grammar check, our correction feature shows users when they used filler words, fluctuated their pitch, or paused during their presentation. We all know the saying "practice makes perfect". Videotape your rehearsal to rewatch and listen to yourself presenting. Immerse user in presentation environment, video record your rehearsal, rewatch your performance, continue practicing until it's perfect. Translates spoken words into written text. Lexicon is defined as "the vocabulary of a person, language, or branch of knowledge". The butterfly in the logo symbolizes the feeling of nervous flutters you get before a big performance.